Kaskade, who has been named America's #1 DJ by DJ Times and Pioneer DJ, will embark on the biggest tour of his career this summer with more than 50 North American shows, visiting venues of all sizes from ballrooms and theatres to arenas and festivals. 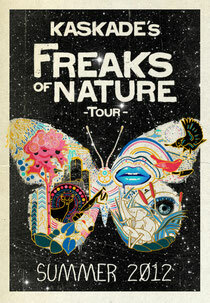 The initial 35 dates announced for the "Freaks of Nature" Summer 2012 Tour will begin on May 25th and will take Kaskade across North America through August, including stops at Coachella, ULTRA Music Festival and more. The New York Times recently called Kaskade the "new face of electronic dance music," his own live show being a jaw-dropping spectacle that finds him performing in front of an 80-foot wide, three-story tall LED screen that blares images synched with the music, while strobe lights scan the crowd. Playing tracks from his catalogue of more than seven albums, including his most recent release ‘Fire & Ice’, Kaskade has special performances and set ups planned throughout the tour that hits a range of iconic venues from Denver's Red Rocks Amphitheatre to Detroit's Fillmore. "It's the most ambitious tour I've ever done," said Kaskade. "Just the number of cities and the actual stage set I'm taking on the road in itself is an unprecedented feat for me. People who've seen me before will never have seen this and for those who have yet to see me, it'll only enhance the experience that much more." Recently, fans have been taking to the third single and corresponding music videos from his recent album - one of the most anticipated cuts, the evocative ‘Room For Happiness’ featuring Skylar Grey. 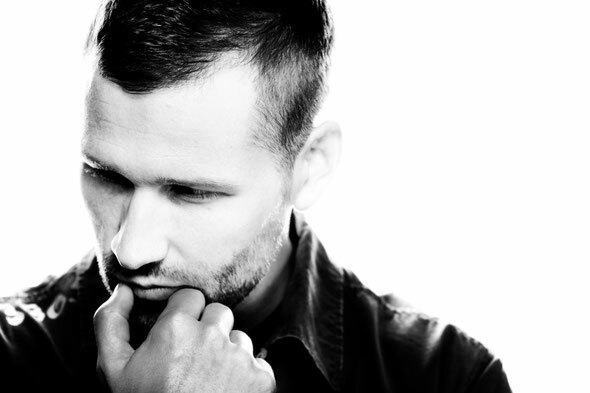 Ryan Raddon, known as Kaskade, has been in the trenches of the EDM scene as an original recording artist and in-demand DJ for more than a decade. He has released seven studio albums, scored nine Top 10 hits on Billboard's Hot Dance Airplay chart, created chart-topping remixes for everyone from Lady Gaga to Beyonce, appeared at all the major summer music festivals, and has performed between 150 and 200 headlining shows a year for the last 10 years, building a name for himself as an innovator of the scene as we know it today. Currently, Kaskade has a monthly residency at Marquee in Las Vegas, which he'll continue with throughout the tour. For more information on Kaskade or the tour, visit www.kaskademusic.com or www.freaksofnaturetour.com.